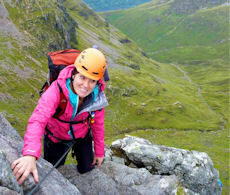 The Aonach Eagach (appropriately meaning 'notched ridge') runs along the northern side of Glencoe and is probably the most famous ridge in the country. Viewed from Glencoe below, the Aonach Eagach appears as a narrow crest with a series of small towers. It is only once onto the crest that the scale and size of the ridge of becomes apparent. 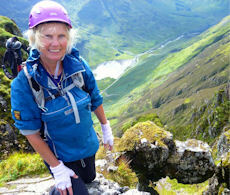 An exhilarating day hillwalking and rock-scrambling along the famed Aonach Eagach. Clamber along the ridge and its 'Crazy Pinnacles', a summer Grade 2 rock-scramble. Bag the 2 Munros of Meall Dearg and Sgor nam Fiannaidh. Join a small group led by an experienced local guide. Rock-scrambling to Grade 2, moderate day. This event is a guided hill-hiking and rock-scrambling day with an experienced and qualified guide. 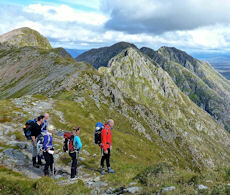 A day hiking up and scrambling along a traverse of the famed Aonach Eagach Ridge, while bagging the Munro summits. 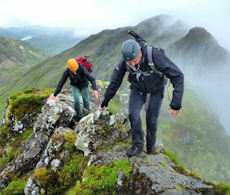 We'll meet in the morning at the eastern end of Glencoe and head up a steep but easy path onto the ridge's crest. The views then dramatically open up and the view ahead is breathtaking ! 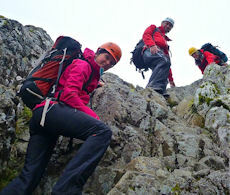 Hands out of pockets, we'll progress along this spectacular ridge, walking and rock-scrambling on the way. En route, we'll bag two the Munro peaks of Meall Dearg and Sgor nam Fiannaidh before descending back into Glencoe for a gentle walk back along the road. The route begins on a fine path leading to rough terrain higher up. The ascent and distance covered suggest a 'moderate' graded day. However, our intended route takes in some rock-scrambling up to Grade 2 and some of this is exposed and airy. To join this guided day, we ask that you have a decent level of fitness, have done a good few hillwalks and are capable of a long mountain day. You will need a reasonably good head for heights, have done at least 3 Grade 1 rock-scrambling routes and be comfortable on such terrain. 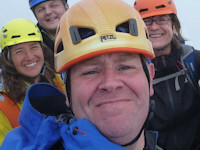 Ideally, we also prefer people to have been out with us on other easier rock-scrambling events before attempting a traverse of the Aonach Eagach ridge. Your guide will have a rope for confidence. 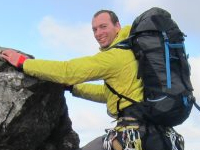 We may also supply a helmet and any other appropriate rock-scrambling and climbing gear as necessary. Leading various events throughout 2019. Leading the event on 16 May'19. 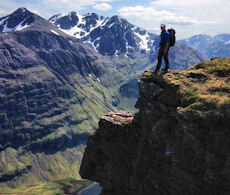 The Aonach Eagach ridge in Glencoe is around 20miles south of Fort William on the A82. There is a bus service operating between Glasgow to Fort William which also stops in the glen.